Mick teaches Physical Education and Health at Metcalf Junior High School. Mick runs our off-season conditioning program during the winter months. He also is involved in winter and summer baseball clinics for elementary and junior high players. 2010 MSHSL AAA Coach of the year. Justin is a mathematics teacher at Nicollet Junior High School. He completed his undergraduate teaching degree at Winona State University as well as a coaching minor in 2004. He played baseball for three seasons while at WSU. 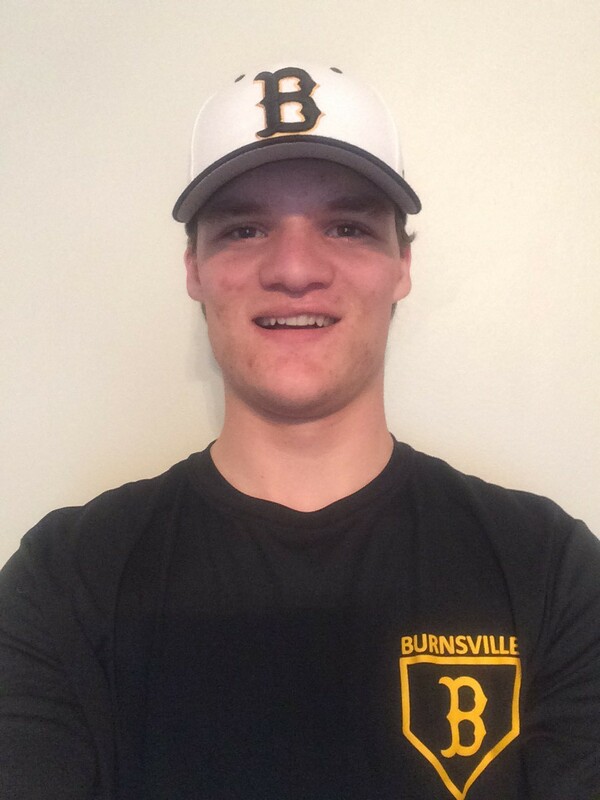 He comes with six years of coaching experience at the Junior Varsity and Varsity levels in the greater metro area and is excited to be coaching in Burnsville. Justin believes that every situation brings an opportunity to learn something new. Robert is a 1983 high school graduate of Storden Jeffers HS and participated in football, basketball and baseball. 1987 graduate of St. Olaf with a B.A. in Economics and played 4 years of college baseball. Currently employed by Burnsville School District working at Hidden Valley Elementary School in Special Education Department. 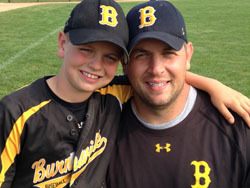 Volunteer assistant coach on the Burnsville staff since 2002 and involved with fundraising for the program. Family includes wife Ann, son Mitchell and daughter Johanna. Varsity Assistant Coach/Statistician I’m sure that most of the young men on our team think I've been around since dirt. To dispel this rumor I know for a fact that dirt arrived a good two or three years before I did. I started coaching baseball many years ago in Hopkins for their in-house program. After I graduated from high school, my family moved to Burnsville and I continued my coaching here. I've coached at every level from T-ball to town ball and enjoyed the surprises each level has brought. I predate both Tom Osiecki and Neal Jeppson in coaching their respective sports in Burnsville. I've also continued to play either baseball or softball since I've been 8 years old. I am a graduate, registered professional engineer and have received two United States patents. I sold the company that I founded and am now semi retired. As a sidewise factoid, I am also a writer and had several of my poems published. Dave Christenson graduated from Bemidji State University with a degree in Physical Ed. and D/APE. He received his Master’s in Health Science and Bio-Mechanics from MN State Mankato. Dave was a multi-sport athlete in high school. In college he played football and baseball. Dave has more than 20 years teaching experience at both Middle School and High School levels. Currently, Dave is a Phy Ed teacher at Dakota Hills Middle School in Eagan. Dave has over 20 years coaching experience in multiple sports at developmental through varsity levels, including basketball, football, softball, and baseball. He was the Head Strength Coach at Eagan High School from 2005-2018. Dave coached varsity baseball 2004-2017 at Eagan. 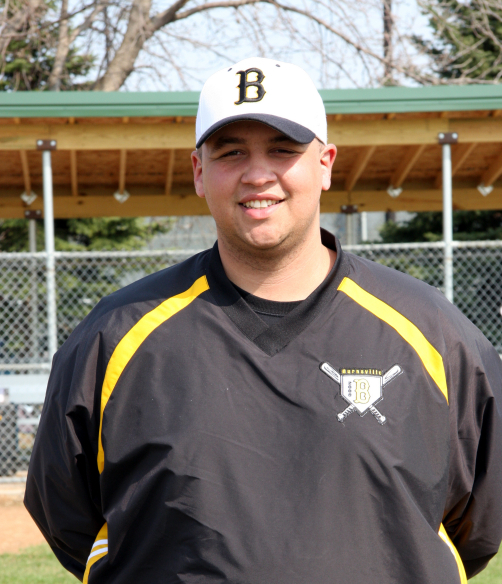 He previously coached baseball at Burnsville 2001-2003 and is excited to return to the program. Dave lives in Savage with his wife Teresa, and their two children are both students in ISD 191. Junior Varsity Coach Nate grew up in Richfield, MN and played 3 varsity seasons of baseball with the Richfield Spartans. He attended college at Minnesota State University in Mankato, and majored in K-12 Physical Education teaching. He has been working and coaching in the district since the spring of 2006. Currently he teaches P.E. at Edward Neill Elementary school. He believes that in order to be successful you must find a way to have fun with whatever you are doing, and even when it may not be all that much fun, make it fun. 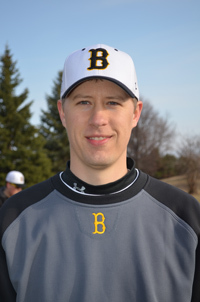 Coach LaMotte is a Burnsville native and graduated from BHS in 1996. He received his BA in Physical Education, Health and Recreation and Coaching Endorsement from Augustana College in 2000. Currently, Jordan works for Olympus Group as a Sales Manager in the Midwest Region. In addition, he is a substitute teacher with Kelly Educational Staffing for ISD 191. His long term goal is to transition out of his successful sales management career to become a full-time teacher and coach. Coach LaMotte's family includes his best friend and wife, Kelly, his son Zachary and daughters Sidney, Miley and Carley. From coaching to playing, the entire family is very active in the BAC, BHC and the Burnsville Traveling programs. Born and raised in Burnsville. Graduated from Burnsville in 2017. Jacob lettered in baseball and hockey. He enjoys biking, fishing, and being with family. He is currently attending Dakota County Technical College where he will receive a degree in Industrial and Energy Plant Maintenance Diploma. 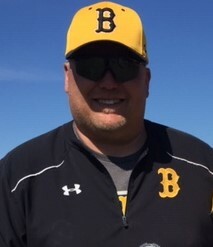 9B Head Coach Brad was born and raised in Savage and came up through the Burnsville baseball and football programs and graduated in 2005. Since graduating from the University of Minnesota in 2008 he has been on staff with an organization called Young Life here in the Burnsville area. He has been coaching football for the past five years and has coached baseball 3 out of 5 years with the program. He loves the role that athletics play in a young man's life and looks forward to being a significant part of their development as an athlete and as a young man.